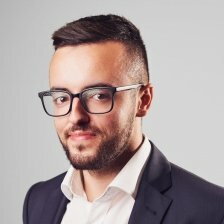 Jonathan Galea is a graduated lawyer warranted for legal practice in Malta, and heads Blockchain Advisory, which is a premium consultancy outfit spearheading regulatory efforts in Malta. He is currently serving as a legal and technical advisor to notable blockchain projects such as Waves, Xaya, and Suncontract. Over five years of experience in the blockchain industry and a completed course in C Programming has led to an accurate fundamental insight in area-related projects. Jonathan has also completed one of the world’s first fully-fledged legal theses on the subject back in 2015, titled “The effect of Bitcoin on money laundering law”. Jonathan regularly participates as a keynote speaker in various international blockchain conferences, and is an active thought leader in the same sector in Malta, heading various initiatives and events.